NEW YORK TIMES BESTSELLER. From the New York Times best-selling creator of Monster Hunter International: Book #2 in the hard-hitting Grimnoir Chronicles. Jake Sullivan is a hardboiled private eye at war with evil magical powers in a dark and gritty urban fantasy that’s a cross between the The Maltese Falcon, Angels and Demons and Twilight. Dark fantasy goes hardboiled in #2 of the hard-hitting Grimnoir Chronicles by the New York Times best-selling creator of Monster Hunter International. 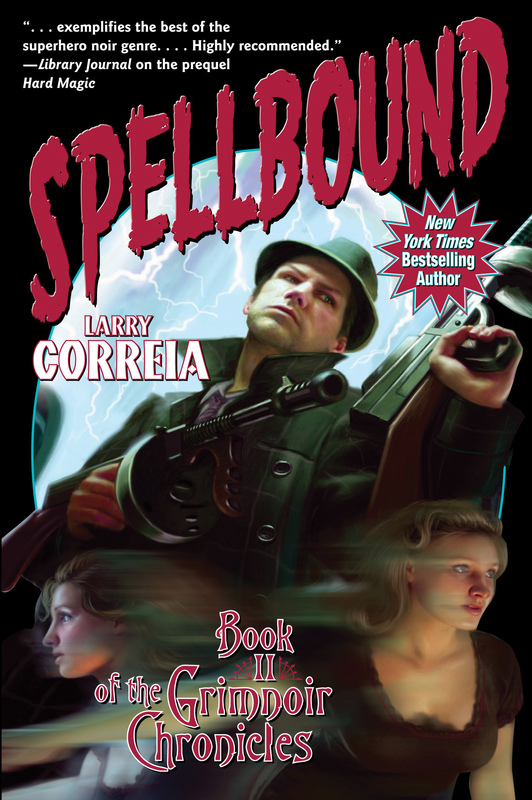 The Grimnoir Society’s mission is to protect people with magic, and they’ve done so—successfully and in secret—since the mysterious arrival of the Power in the 1850s. When a magical assassin makes an attempt on the life of President Franklin Roosevelt, the crime is pinned on the Grimnoir. The knights must become fugitives while they attempt to discover who framed them. Things go from bad to worse when Jake Sullivan, former PI and knight of the Grimnoir, receives a telephone call from a dead man—a man he helped kill.. Turns out the Power jumped universes because it was fleeing from a predator that eats magic and leaves destroyed worlds in its wake. That predator has just landed on Earth.